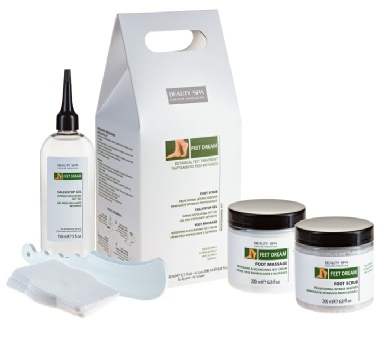 A professional botanical foot treatment kit containing everything required to carry out a minimum of 20 treatments for hard skin and calluses on heels, balls of the feet and other areas of pressure. A natural botanical exfoliating foot treatment with organic sage, mint and thyme, neem oil, pumice and volcanic sand, along with fruit acids and salicylic acid. Main ingredients have anti-bacterial, anti-inflammatory, anti-fungal, anti-perspirant and deodorizing action whilst fruit acids and salicylic acid promote deep exfoliation of hard skin and calluses. The Callustop Treatment is an extremely effective 30 minute treatment for feet prone to unsightly hard skin and calluses. Product information, ingredients and procedure is all included. CALLUSTOP GEL contains numerous natural fruit acids and salicylic acid that naturally and effectively exfoliates deeply to soften and slough off dead skin. Unsightly calluses on the heels, balls of the feet and often at the side of the big toe can be very easily removed leaving soft velvety new skin beneath. When applied and left in place for 10-20 minutes the gel "macerates" the skin in thickened areas of the feet (in particular, calluses and hard skin) which can then simply be scraped away. Used regularly Callustop Gel will keep hardened skin and calluses at bay preventing the dry thick yellowish skin from re-forming. The Foot Massage cream is a natural botanical foot massage cream that refreshes and de-odourises, it has an anti-fungal and anti-bacterial action thanks to ingredients like neem oil and organic sage, mint and thyme. 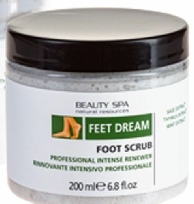 It offers feet the most long lasting and velvety feel, helps prevent dryness, odour and hard skin. The Foot Scrub is a luxurious cream paste containing various sizes of granules from pumice and volcanic sand from Polynesian shores. It gently but thoroughly exfoliates dry hardened skin from the feet and ingredients of organic thyme, mint and sage purify, refresh and completely smooth out rough hardened skin. The CALLUSTOP FOOTSCRAPER is designed to scrape away hard skin and calluses from feet. 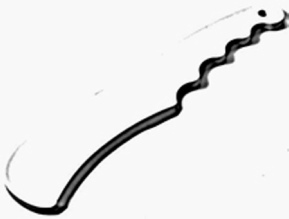 It is ergonomically styled and very easy to use and can be sterilised in any salon autoclave.